If you need help understanding the property licensing rules in Waltham Forest you have come to the right place! We are experts in housing regulation and have produced this free guide to help you understand the council’s property licensing schemes. To help set the scene, the London Borough of Waltham Forest is in East London covering an area of 15 square miles. It is bordered by the boroughs of Enfield and Haringey to the west, Hackney and Newham to the south, Redbridge to the east and with Essex to the north. According to the 2011 Census about 26% of the housing stock was privately rented which is marginally above the London average of 25% (1 in 4). Yes, most private rented properties in Waltham Forest will need to be licensed. 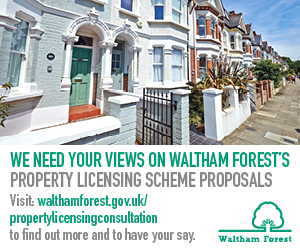 You will need a licence if you rent your property to a single family as Waltham Forest Council have implemented a selective licensing scheme that came into force on 1 April 2015 and last for five years until 31 March 2020. There are very few exemptions. If you rent your property as a House in Multiple Occupation, the answer is more complicated. Whilst Waltham Forest Council do not operate an additional licensing scheme, some HMOs will need a licence under the selective licensing scheme and some are covered under the mandatory HMO licensing scheme that applies across England. If you think you may need a licence, you now need to decide which one. We will try to help you choose the right licence for your property. You will need a selective licence if your property (house or flat) is let out to a single person, couple or single household anywhere in the borough. Selective licences are also needed for most HMOs and this is where is gets more complicated. Waltham Forest says that selective licensing applies to all HMOs. They may be right and the easiest thing is to apply for a licence to make sure you are covered. But there is also another legal interpretation that suggests some HMOs may be exempt. It’s a bit longwinded so unless you are really interested you may want to skip this part. (ii) under two or more tenancies or licences in respect of different dwellings contained within it. So under section 79(2)(b)(i), if your property is let on one tenancy to people not all related to each other (e.g. a house share), it is a House in Multiple Occupation that will need to be licensed under the selective licensing scheme. The meaning of section 79(2)(b)(ii) is more difficult to follow. If your property is let on two or more tenancies or licences, it will need a selective licence if each one relates to a different dwelling contained within it. But what is the definition of a dwelling? Well, some view a dwelling as a self-contained unit of accommodation whereas Waltham Forest thinks it includes all units of accommodation including those with shared facilities. 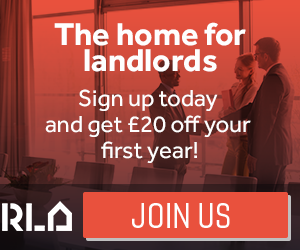 The simplest option is to apply for a selective licence for all HMOs that fall outside the mandatory HMO licensing scheme, or seek independent legal advice on your options. Ultimately, only the Courts can interpret the law and unless this issue is ever tested in court, we may never know for sure. At Waltham Forest, it depends on the type of licence you are applying for. For a mandatory HMO licence, the standard fee is £1,050 (was £1,000 in 2017/18, £930 in 2016/17) for a three storey HMO with up to six lettings. If there are more lettings, there is an extra £105 (was £100 in 2017/18, £88 in 2016/17) per letting after that. For a selective licence, there is a standard fee of £650 (was £500 in 2015/16). The fees are correct as of March 2019 but could be subject to change in the future. You can view the mandatory HMO licensing fees on the council’s website here and the selective licensing fees here. Waltham Forest Council have an online application process for their selective licensing scheme but not for the mandatory HMO licensing scheme. We have outlined the application process below. You can download a mandatory HMO licence application form via the council’s website. Once you click on this link, select the option ‘How to apply for a licence’. You can then print out the form, complete it and send it back in the post, or you can ask the council to send you an application pack in the post. When submitting your application, you are asked to provide various supporting documents including gas and electrical certificates, fire alarm certificate, a floor plan of the property, planning and building regulation approval documents for any alterations and even copies of the tenancy agreements - not many councils seem to ask for them. That’s a lot of paperwork so make sure you have it all ready! There is a different process for selective licensing applications and you can only apply online. Waltham Forest Council has told us they will not accept any paper applications. For landlords without internet access, they have said you can apply online at one of the local libraries, assuming you live nearby. The application process is explained in detail on the council’s website. You will need to set up a ‘My Services’ account in order to apply. There is a lot of information to study and you will need to scan in any supporting documents to accompany your application. So make sure you allow yourself plenty of time to complete the application. Yes, the Waltham Forest HMO standards were updated in 2015 and you can view a copy on the council’s website. Once you click on the link, scroll down to the ‘Further information’ section. You can also download a copy from the ‘More information’ box on the right of this page. The Waltham Forest HMO standards relate to properties licensed under the mandatory HMO licensing scheme and cover a range of issues such as kitchen, bathroom and toilet facilities, fire precautions, heating, lighting and ventilation. In March 2015, Waltham Forest Council had licensed 166 HMOs under the mandatory HMO licensing scheme. When we checked again in January 2016, the public register listed 168, in May 2017 the figure had dropped slightly to 159 but by January 2019 it had increased to 239. The selective licensing scheme came into force on 1 April 2015. By January 2016, the council reported that they had approved 15,000 licences. By May 2016, 19,000 licence applications had been received and by July 2017, they had received over 23,000 applications with over 21,000 licences approved. By January 2019, 24,515 selective licences had been approved. The council keeps a public register of all licensed properties that can be viewed on the council's website. The selective licensing register can be viewed here. Once you click on the link, scroll down to ‘View publicly licensed properties in the borough’. The mandatory HMO licensing register can be viewed here. Once you click on the link, scroll down to ‘See the register of licensed mandatory HMOs’. Yes, it seems there are there are quite a few. In March 2015, Waltham Forest Council told us they think there are about 440 properties covered by the mandatory HMO licensing scheme and a further 26,000 properties covered by selective licensing. As of January 2019, there could still be 1,000 or more private rented properties that need to be licenced but where no application has yet been submitted. We will be following what happens and will keep you posted. Waltham Forest Council took 14 housing prosecutions over the five years from April 2011 to March 2016, an average three housing prosecutions a year. In 2016/17, there was a dramatic increase in enforcement action with 58 successful housing prosecutions. The council did not obtained any Rent Repayment Orders from the landlords of unlicensed HMOs over the five years from April 2011 to March 2016. Whilst we don’t have any figures for the NLA or RLA schemes, we have got information about the London Landlord Accreditation Scheme that is supported by all the London Boroughs. In January 2016, they told us there were 615 accredited landlords in Waltham Forest, which was in the top third of all London boroughs. By January 2018, that figure had increased to 757 and by January 2019 that figure had increased to 780, which is still above average when compared to all the London boroughs. To find out more about becoming accredited, you can visit the London Landlord Accreditation Scheme website here. Yes, with Waltham Forest’s selective licensing scheme due to expire on 31 March 2020, they are exploring what happens after that. The council want to continue to license most privately rented properties to effectively regulate their condition, management and occupation and to help tackle anti-social behaviour. The proposals include a borough wide additional licensing scheme for all Houses in Multiple Occupation (HMOs), plus a selective licensing scheme covering all other private rented properties in the majority of the borough (except Hatch Lane and Endlebury where the proportion of private sector housing is below the national average and therefore they do not meet the criteria for inclusion). The council are undertaking a public consultation which is open for 12 weeks between Monday 4 February 2019 and Monday 29 April 2019. The consultation is open to all residents, tenants, landlords, agents and businesses but is particularly relevant to those in Waltham Forest and neighbouring boroughs. You find out more about the proposed licensing scheme and take part in the consultation by visiting the council's website. You will need planning permission if you are changing your property from a single-family property to a house in multiple occupation (HMO) occupied by more than six people. HMOs occupied by more than six people fall within ‘sui-generis’ use for which planning permission is required. You will also need planning permission if you a splitting up a property into smaller self-contained units of accommodation. On 16 September 2013, Waltham Forest Council made an Article 4 Direction that removes the permitted development rights to change a property from a single-family house (use class C3) to an HMO occupied by up to six people (use class C4) without planning permission. The Article 4 Direction applies borough-wide and came into force on 16 September 2014. So from that date, even letting your property to three people who are not all related could require planning permission. You can download a copy of the Article 4 Direction confirmation notice from the ‘More Information’ box on the right of this page. We have also published some more general advice about HMO Article 4 Directions, available here. To find out more information from Waltham Forest Council, you can visit the planning page on the council’s website. Remember that this is only intended as general advice and no liability can be accepted for any reliance upon information provided. We would strongly encourage you to contact the Council’s Planning Department or seek independent legal advice. There is no additional licensing scheme but selective and mandatory HMO licensing schemes both apply borough wide. An additional and selective licensing consultation is taking place from 4 February to 29 April 2019. More info here.